Ford and Domino's are testing self driving cars for delivering pizza. The two companies are partnering on a test trial with Ford cars to deliver pizzas to Domino's customers. They want to know if customers will react to this idea favorably and be willing to deal with autonomous car service. The car in question is the Ford Fusion Hybrid Autonomous car, and it will have pizza containers that are outfitted by a third company, Roush Enterprises. The containers will keep the pizzas warm, and the new self-driving cars are programmed to unlock once the customer inputs a unique delivery code. Random customers in the Ann Arbor, Michigan area will be selected to participate in the pizza delivery test trial. Ford doesn't do this type of thing often, but this is a chance for the company to learn what various customers want in terms of technology. Both Ford and Domino's have worked together on other projects such as SYNC software and apps platform. It was a step towards the current AVs food delivery test trial. 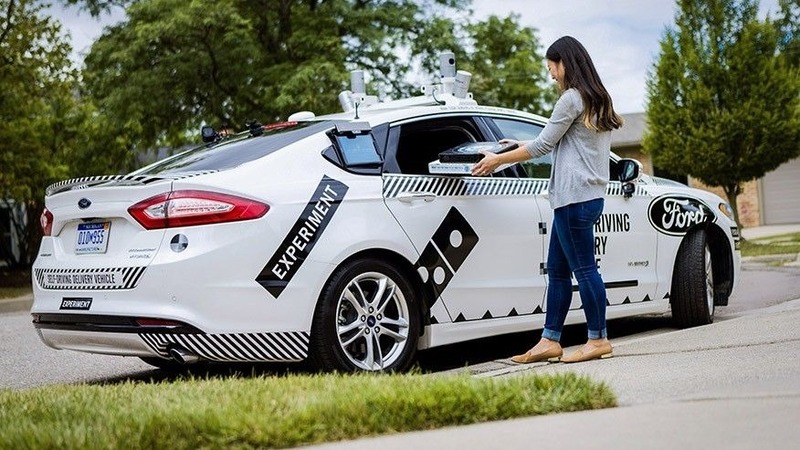 Ford wants to improve its autonomous vehicle technology, and Domino's wants to provide fast delivery service that is more user-friendly. According to Sheriff Marakby, a Ford VP, this ethnographic research project is designed to determine what customers need and want in terms of autonomous service. He stresses that the autonomous component doesn't necessarily need to be road-ready for the project to be successful. He thinks that customer preference is pertinent,and that it is just as important as the customer navigation. However, understand that during this test trial, there will be no self-driving cars. Each car will have a driver to monitor what happens and take control if something goes wrong. But all in all, the test is not measuring how well the car is driven. It is designed to learn about what the end user wants. Are pizza customers ready for the lack of human interaction during pizza delivery? This is what both companies want to successfully determine.